I received the Curious Cables USB a few months back and postponed this review until I was able to compare this venerable cable with at least a dozen other USB cables. We all know it’s a fantastic cable, but how does it fare against the giants of today? So over the course of a few months, I was insane enough to interview over 20 audiophile USB cables, most of which I had on hand for direct comparisons. Each and every cable had their “flavor” and I believe most will be able to blind test with high accuracy, especially silver vs copper. Without exception, even the worse sounding audiophile USB cable sounded better than the generics I had on hand. Most generic USB cables are just peaky and disoriented. Once in a while, I’ll pop in a generic for a sanity check. When you’re copying your bootleg movies from your PC to an external hard drive, it doesn’t matter if it takes 5 minutes or 5 hours, your bits are error checked and consistent. Barring any physical problems with your storage device, you’re guaranteed a consistent copy via retransmission of bad packets. For streaming media such as video from your webcam or audio to your DAC, an isochronous transfer protocol (USB has a few endpoint types) is used. What this means is that once the bits are sent from your PC, packets are never retransmitted regardless of CRC errors. If packets had to checked and resent, this will be clearly audible in your system. Isochronous refers to the transfer type and asynchronous USB essentially refers to the location of the master clock (who controls the clock?). In the context of USB, isochronous and asynchronous are mutually exclusive notions. USB initiates a transfer with a specific device with of one of four types: bulk, control, interrupt, and isochronous. Bulk transfers are not time-critical (USB hard drives) and frames will be retransmitted when an error is detected. With isochronous transfers, a certain amount of bandwidth is allocated on the host to accommodate the frames/bits required per second by the audio stream. DACs could detect errors but frames will not be retransmitted. But what defines the notion of a “second”? With synchronous USB, the clock resides on the host (your PC, server, etc). With asynchronous USB, the master clock typically resides on the DAC. The DAC tells the host when to send the packets which essentially defines what a “second” means. This way audio data is “packaged” and streamed properly and the DAC never misses a sample. This does not ensure the integrity of those incoming bits, however, it just guarantees a specific rate using the presumably more accurate/consistent master clock on the DAC. To get a better idea of what goes into the design of a USB cable, let’s break it down. Crosstalk – The electrical interaction of adjacent conductors with one another. We want to isolate and prevent any “leakage” of energy to other conductors. Capacitance – Electrons get temporarily “stuck” in the cable typically in the insulation/dielectric. When electrons are held and release, this nonlinear propagation attenuates the signal causing plenty of signal timing issues. Inductance – As a signal is going across a wire, a magnetic field is created. This magnetic field will create eddy currents in the conductor. These eddy currents will generate an opposing magnetic field which will impede the propagation of the signal and could potentially convert some of that signal energy into heat. Typically, the larger the conductor, the stronger the opposing force. Resistance – Impediment in voltage typically correlated to the length and gauge of a conductor. Generally speaking, the shorter the USB cable, the better. From my listening sessions, imaging and resolution seem to improve with shorter cables. Both of my Danacable TruStream USB cables are less than 2 ft.
Impedance Mismatch – USB cables are 90-ohm, a mismatch may cause reflections in the signal. Something like the UpTone ISO REGEN may help here. Geometry – Unsurprisingly, conductor layout is very important in all cable design. Shielding approaches need to be in place to prevent noise from affecting the signal path. Clocks – This isn’t cable related but an accurate clock on both the PC and DAC side are imperative to a clean, jitter-free, and pure USB audio signal. EMI/RFI – External factors could introduce noise into the signal. Proper shielding will help mitigate this. An audio signal needs to be heard in real-time. Anything less would introduce some level of artificialness of the music. The USB standards themselves don’t even take into consideration the inductance or capacitance of a cable, which really only affects an audio or video signal. Many of these electrical parameters could introduce jitter into the signal (timing errors), which all human ears are unequivocally sensitive to. It’s apparent the quality of the material and geometric design used for a USB cable is correlated to the level of signal deformation. Coming up with the right dielectric that matches well with the choice conductor material and figuring out how to arrange all of it is a big part in USB cable design. This isn’t Rob Woodlands’s first rodeo in audio. He also manufactures the highly esteemed Bullet Plugs, and had a few creations of his own: the Bayonet plug and Cable Pods. 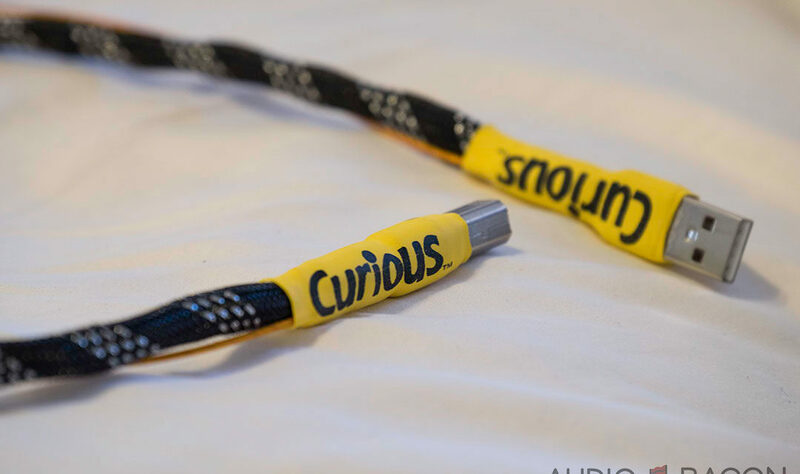 So what was Curious Cable’s Rob Woodlands approach to USB cable design? Physically isolated 5V, fully shielded mini coax power leg. Most of the noise on a cable will come from this interaction. There’s no better way to get this noisy leg away from the data lines than moving it outside the cable. This is the only cable I’ve tested with a fully isolated power leg. Shielded ground leg to prevent the transmission of noise to the data lines. The relationship between the data and ground lines are of utmost importance. Pure silver conductor. In my opinion, this accounts for the “dimensional” sound you get with the Curious USB. Out of all the cables I’ve tested, the Curious USB seems the most laborious to construct. Kudos for not cutting corners here. I haven’t heard the Supra USB cable in quite some time but I preferred the Chord SilverPlus over it. Nice review, and maybe I will get it but there is one cable I don’t know if you ever saw it, its QED Reference USB they promote it with very low jitters 12 ps rms. 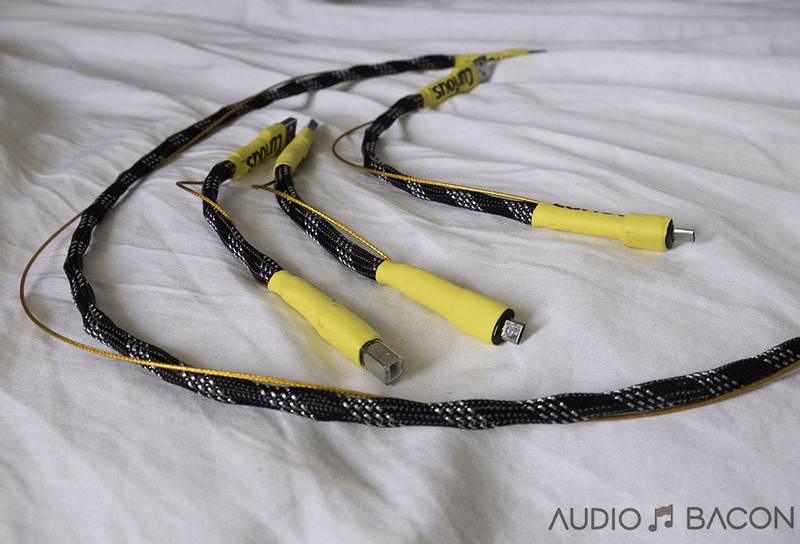 Very well written review, as someone whom uses the Audience AU 24 SE | Cabledyne Reference Silver | Neutral Reference I [ improved ] Silver USB cables, and was seriously thinking about adding the Lush……, your review has in fact made me realize I’ve seriously been overlooking the Curious USB cable for far to long. And it’s nice to know that its constructed from silver, as most reviews never hinted at what the actual conductor was. Thanks for being so insightful on all of your reviews, it makes getting through this whole concept behind CA, all that more entertaining. The great thing about the Lush cable is its ability to layer the sound well, without sacrificing warmth or demolishing your wallet. Thanks for the review! I’m wondering if you have any thoughts on the Curious cable versus the Nordost Blue Heaven USB cable or even the Audiowuest Carbon? Good review, but your breakdown of how USB works is incorrect, pretty much all USB transmission is asynchronous now not isochronous, unless the DAC is really old. Also no need to worry about timing errors or any the waveform problems you wrote about that only applies to spdif not USB. USB is all packets and frames, all are CRC checked and packets discarded if there is an error. The good thing is that rarely happens even with the most grossly noisy and poorly made cables. I’m glad you liked the curious cable, others seem to as well. Your knowledge of the USB protocol is obviously perfunctory but that’s OK, some of the terms are confusing. Isochronous refers to the transfer type and the asynchronous approach essentially refers to the location of the master clock (who controls the clock). Isochronous and asynchronous are mutually exclusive notions. With isochronous transfers, a certain amount of bandwidth is allocated on the host to accommodate the frames/bits required per second by the audio stream. DACs could detect errors but frames will not be retransmitted. But what defines the notion of a “second”? With synchronous USB, the clock resides on the host. With asynchronous USB, the master clock typically resides on the DAC. The DAC tells the host when to send the packets which essentially defines what a “second” means. This way audio data is “packaged” and streamed properly and the DAC never misses a sample. This does not ensure the integrity of those incoming bits, however, it just guarantees a specific rate using the presumably more accurate/consistent master clock on the DAC. There are reasons why external master clocks exist (timing errors) and many have shown these malformed waveforms while measuring these USB cables. But the malformed waveforms that so many people reviewing cables like to point out rarely the cause of problems in USB communications. In almost all cases the voltages is enough to be distinguished as a 0 or 1 and assembled into the packet. If there was a problem with even one of the bits being flipped the packet would fail the CRC check and be discarded, but that almost never happens. My real point is just pointing out that when you explain to people the idea that a 0 or 1 could be slightly malformed and cause little errors due to the USB cable you are misleading them, because I am sure you are aware that via asynchronous USB the data is not sent as a bitstream, rather as chucks of data or packets. The only thing that matters is that the packet arrives to the DAC fast enough to fill the input buffer. The whole idea of using packets is so that things like time intervals in communication don’t matter anymore, the protocol just needs to ensure the packets are delivered with perfect integrity (CRC check) and get there quick enough to fill the buffer. This idea of malformed waveforms has little to no place in USB discussions. This eye pattern depicts a signal which is not terribly degraded, so that the difference between a “one” and a “zero” is still easy to read if your clock samples the bit at the right point in time — but the values shown vary enormously for both ones and zeros,and as the effects of return loss and crosstalk and attenuation pile up (by making the cable longer, or of lower quality) this becomes more difficult, and eventually impossible, to do. As you can see, even in this very clean “eye,” the value representing a “one” or a “zero” is quite variable, and the transition between them is not sharp and clean, but has a considerable (and variable) slope time. The clocks also have to sample at the “right” time but this is timing is difficult to achieve. I tried the Cardas vs Audioquest Carbon, Neutral Audio of Italy, and LAT international. The Cardas is easy to listen to. Audioquest definitely more dynamic and vivid, but a little hard on the ears. The LAT is about right between those two, more vivid than Cardas, easier to listen to than the Audioquest. Based on this review, I would like to try the Lush USB cable. I’m pretty sure the “winners” in these tests will vary somewhat with equipment, but not by much. Thanks for the review. I have both the Lush and Curious USB and prefer the Lush. I found the Lush to be more detailed than the Curious but in a more even manner. The Curious is indeed more exciting and a bit lean. Please, could you tell me the difference between the TruStream and the Lush? Does these 2 cables compare to the Puist 30th ann? Lush has a richer and denser tone than the TruStream. TruStream is more dimensional and more tonally accurate IMO. Purist 30th doesn’t have a deep or full low-end but is silky smooth with proper timbre.The Purist is more detailed and resolving than both the Lush and TruStream, but less warm sounding. Would you describe the Lush as a bit to much dense sounding (for a natural sound)? Both the TruStream & Lush will add body/weight to the sound, right? And the Lush would be superior to the Vovox? Both Lush and Vovox have more body than both the Curious and TruStream trading off depth and resolution. There’s a naturalness to the Vovox and most of their stuff just sounds “right” as in what the artist intended (as far as tone and timbre). 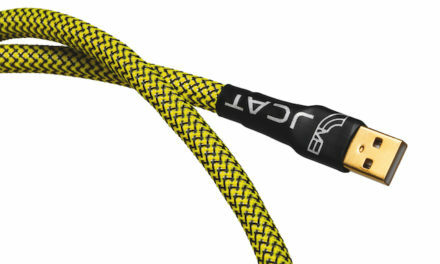 I feel the Lush is the warmest cable I’ve ever tested and it colors the sound a bit more with a richer midrange. However, it does have better depth, separation, and layering than the Vovox. My at home set up has included an iMac with Pure Music, an old but fine Kimber silver USB cable, Chord Hugo TT, Danacable Reference cable, Focal Utopias. I was totally happy then read your review. I auditioned the Curious Cable USB after about 150 hours of break in and am so pleased by the music transformation. All the adjectives other reviewers have used are seconded here. I’ve not heard the other high end cables you’ve mentioned but you have opened my ears about the role of the USB cable. Thank you. Lush is richer and has better layering of the soundstage. Textura has better tone & timbre which sounds more like what the artist/engineers intended. The slight lack of dimension vs the lush could be a deal breaker for some. The TruStream is basically the Textura with more detail and dimension. 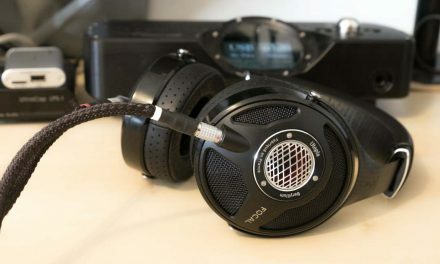 Vovox gets close to the Danacable sound. Thanks. It sounds like the Danacable is the one to get. I’m not really a music person, since I’m mostly a world warrior, wandering around for new challengers. Instead of music, I’m often just listening to announcer tracks of “YOU WIN”. What are the best cables to hear that? Have you tested the WaveWorld Starlight or Nordost usb-cables? And how do WaveWorld&Nordost compare to the Danacable Trustream? Unfortunately, I haven’t heard both cables. If someone wants to send it in, I could make the comparison. Unfortunately, I haven’t heard it. If someone wants to send it in, I could make the comparison. If the reviewer used DACs which support a bit-perfect test file, he would find out that all USB cables deliver the data with 100% accuracy. Meaning the bits that describe song being played gets to the internals of the DAC with perfect fidelity. Yet the music sounds different. Reason? Its the radio frequency noise from the source travelling along the cable and upsetting the ground plane of the DAC. Even very small amounts of noise and at various frequencies are audible. So each cable, due to the metallurgy and construction will transmit or attenuate the RF noise in a different way. Solution? Pile on the ferrites. Put on different spec units … to cover up to 2.5Ghz. Add 10,20,30 …until you can no longer hear a difference. Then you will get the pure fidelity of the music …not something that the RFI into the DAC’s ground plane colors. I would be interested on hearing your opinion on the Chord Sarum T USB cable as this is what I currently use as part of a complete Chord Sarum T loom. Before you ask, no I’m not prepared to send it in as this cable costs £1500 per metre. I too have a collection of budget USB cables and I was a huge fan of Curious USB cables until I discovered Audiocadabra Ultimus3 power isolated silver USB cables. They both have very similar design at first glance but the Audiocadabra Ultimus silver USB cable sounds more open, transparent and musical to my ears. The latter is also priced very decently despite using solid silver. The value Audiocadabra USB cable offers is simply off the charts! I would appreciate if you could please include Audiocadabra Ultimus3 power isolated silver USB cable in your comparison. I value your thoughts more than paid professional reviews. Very helpful review. Same question as with your excellent interconnect cable review. are you encumbering these beauties with ferrites in the final configuration? I’m getting a few ferrites in for testing. Will keep you posted. Kubala sosna wasn’t keen on sending a demo cable in. Your thoughts/experience with Kubala-Sosna USB cable? Very helpful review. One thing I do wonder about is the extent, if any, that a usb regenerator (e.g. tx-USBultra or ISO Regen) will nullify some of the differences between usb cables that feed into it. Is there any case for running a higher quality cable out of the regenerator than the cable running into it? Any reason you don’t make comparison to the SOTM USB cable (looks like the dCBL-UF) shown in your photo? Didn’t think anyone would see it 😉 It was a prototype and I haven’t heard the production version yet so can’t really comment. The filter block on the prototype does do something similar to what it does for their CAT7 cables (resolution, transparency, and very resolving of micro-dynamics). Thanks for the feedback. Was it the silver or copper version? I’m just about to order the SOTM trifecta and wondering whether the SOTM USB or the Danacable would work best. I like the idea of the resolution and transparency, and possibly blacker silences that I imagine the SOTM would deliver, but imagine the Danacable would add more emotion? May from SOtM obviously recommends the SOtM cables and I absolutely trust her judgement, but just a bit worried that the sound mind end up too sterile with all the filtering – I’m ordering their CAT7 filter as well. (I have Naim amplifier which I love because of its engaging although not perfect character and I much prefer the copper power cables over the silver power cables on the SOtM power supplies). I’ll need two USB cables (sms200 ultra to tx-usb ultra and tx-usb ultra to my Hugo 2. I’ll probably end up buying the system first and then the cables later depending on how it sounds. Love your reviews, btw – very helpful. And very jealous that you get to try all this gear ! This was a silver USB cable. As you could probably tell, I’m more a copper guy so I would recommend the SOtM copper USB cable for more warmth. Danacable also gives you a 30-day trial so no risks there. He voices his stuff very well (listens to mostly female vocals). 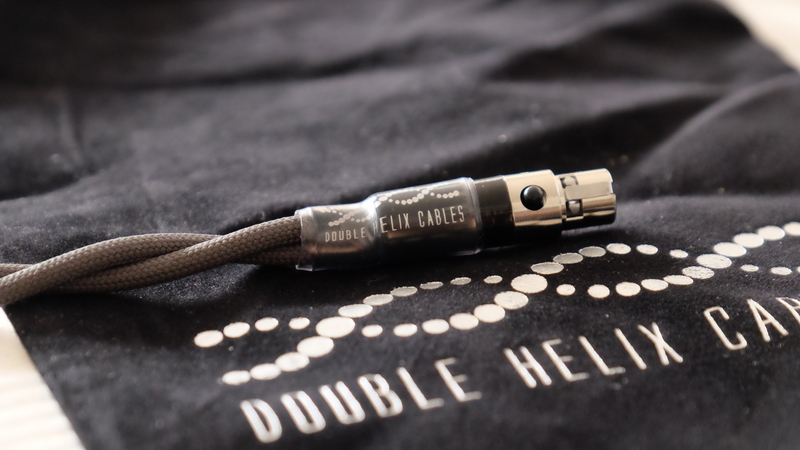 Great review and comparison of Curious Cables versus the competition! As far as portable audiophile-grade micro USB cables are concerned, the Moon Audio Blue Dragon is my choice when it comes to sound quality and value. This is what I use with my Chord Mojo. Do you have any experience with this usb cable? I guess the question I’d have for those who think that audiophile USB cables make a difference is this: do you use those cables to connect your computer to your printer? Do you trust whatever interconnect the maker of your desktop computer’s case or your laptop runs between the case and the motherboard, or the cable from your keyboard or mouse or trackball? 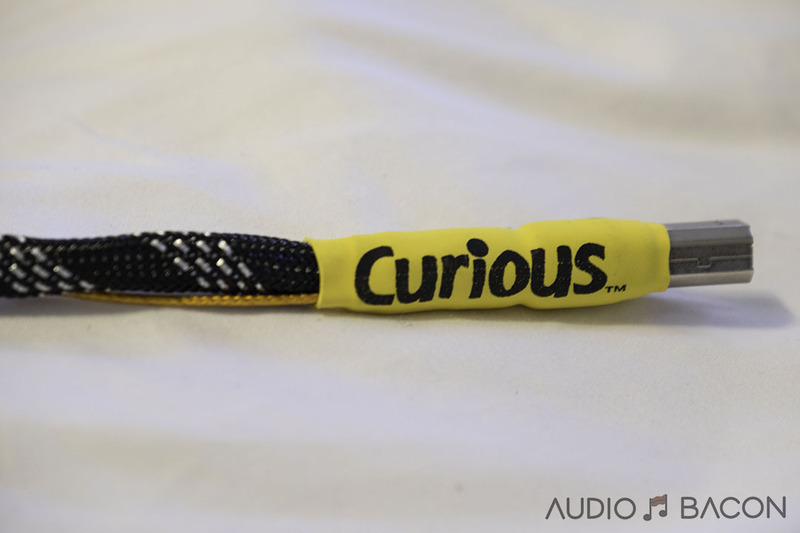 If you do, doesn’t that belie the notion that audiophile USB cables make a difference? If I thought they did, I’d certainly want to use them everywhere. Data going over a USB connection, say between my USB flash drive and my computer, is at least as important, and often far more important, than the stream of bytes that represents the music I’m listening to at the moment. You wrote about silver-USB cables and copper-USB cables….. Which copper-USB cable do you find the most detailed? Can you test some cable usb multiple? like cable lightning 3 in 1 ou others? Is it really sound bright? Maybe Silver is more transparent and dynamic than copper and just simply mirrors Brightness of Dave? Just like maybe Sotm Usb ultra is also not bright, but transparent and just shows Dac qualities. The Curious USB cable would be considered a bright cable IMO.